Please don’t tell me if “poggery” actually means something dirty. So reader John, the fella what related the horrifying yet strangely satisfying tale of the shredding and recycling of 14 long boxes of Turok Dinosaur Hunter #1, emailed recently to inform me of more bulk stashes of the ’90s funnybooks that came into his hands. This was during the time of, of course, the Big Pog Invasion, but also during the time of Everyone Gets A Superhero Universe, including Malibu Comics which was doing this universe, with Man of War and the Ferret, while also doing the Ultraverse, with Prime and Firearm and so on. Did those two Malibu Universes ever cross over with each other? I imagine it would have been relative easy, being published by the same company an’ all, unless there’s some behind-the-scenes ownership stuff I don’t know about. Regardless, if they’d made it into the 2000s maybe that would have happened. Anyway, there’s come collector excess for you, but at least they seem to have been kept in better shape than the comics in this tragedy. John said that the majority of the comics in this accumulation met a fate similar to the aforementioned Turok …well, not shredded in a spectacular fashion, but certainly disposed of, save for some Deadpool s and a few other goodies that may actually be sellable. But here’s hoping that Man of War movie never comes to fruition, or I would weep openly on John’s behalf for such a lost lucrative opportunity. Let me just start off this post with something that would have blown the mind of teenaged me. Tell ’em Mike sent you! And when they say “who?” just turn around and run, run like the dickens. And of course, a big, big thanks to Mr. Bissette for asking me to be involved! I…don’t know. I just assumed they were names assigned to various kinds of paper stock by the manufacturers. Just doing a quick Googling I found a couple of references to “MANDO paper,” as in the “Minnesota and Ontario Paper Company. I didn’t find many specific references to this being the same mando paper stock as used in comics, outside a message board entry or two, but maybe someone who knows better can clear it up. Baxter paper I’m not so sure about…there are some references to a couple of paper companies with “Baxter” in their name, including, confusingly enough, a fictional Leland Baxter Paper Company that supposedly constructed the Fantastic Four’s Baxter Building. I’m pretty sure that, like I said, it was just a name assigned by the manufacturer to its product, and again, if anyone has a more specific answer, please chime in! EDIT: Thom H. notes in the comments that Baxter paper appears to have originated from the Great Northern Paper Company (which was one of the possible sources I turned up in my own search). Ben backs this up in the comments to my Monday post, and both fellas point to this weblog posting and comments for sourcing. James, I apologize. I’ve been doing this so long (I mean, selling comics, not just blogging about them, though that’s likely the case as well) that I just throw out references here and there and everywhere and assume that just because I know what I’m talking about, that everyone else will too. I do attempt explanations when I can, but some events just loom so large for me in my recollections of the Comics of Decades Past, I forget not everyone was there experiencing the same magical times that I was. The big deal with X-Men #1 was that there were five variant covers for the issue (which you can see right here, with the newsstand edition included as well), with each cover released in subsequent weeks. The first four covers formed a larger image, and the fifth variant featured all four covers linked together in a wraparound foldout cover. This came out around the peak of the comic market boom, and orders on these comics were out of control. I think the combined total made this the highest ordered comic at least in the modern age, or maybe even since the Golden Age…trying to look this up to confirm just brought me to a bunch of comic book “investment” sites, which depressed me, but trust me…there’s a lot of copies of this. Now, don’t get me wrong…the comic sold great. We sold a ton of them at the time. Hell, even I bought one. (Just one!) But we had a bunch left over as well, as at the time the store purchasing strategy was “this is the first issue of a new ongoing X-Men series, the first since the Silver Age, better have lots on hand for all that back issue demand!” I’ve joked that even since opening my own shop, I’ve acquired a small backlog of some of these first issues without even really trying to buy any, and by “joked” I mean “accurately described my specific experience.” They just kinda…show up, man. They do still sell even now, on occasion. Of course, even given the large amounts of copies that were printed, perhaps copies are not as easy to track down now, given that many stores at the time that may have had overstock are now gone, and that a significant percentage of people who bought it at the time either lost them or didn’t store them properly. This is something I discussed a while back, if you’re interested. 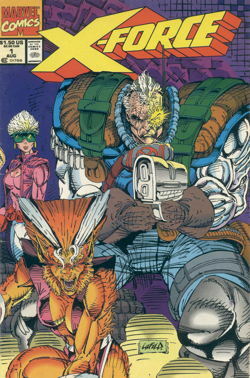 Deathmate was the greatly-anticipated crossover between the then new and hot publishers Image Comics and Valiant Comics. I actually did a write-up on this, oh, about 12 years ago, which is good because I could barely remember the “story” details now. Anyway everyone overordered it, it had problems with shipping delays, I think some people were put out that Spawn wasn’t involved (or only just barely) and it turned into a huge backroom burden because it didn’t sell anywhere close to expectations. As noted in that post I linked, I was happy to rid myself of these for the princely sum of one slim nickel each, and good riddance. “Deathwatch 2000” (boy, comics were big on death then, you know, not like now) was the big crossover event from Continuity Comics. 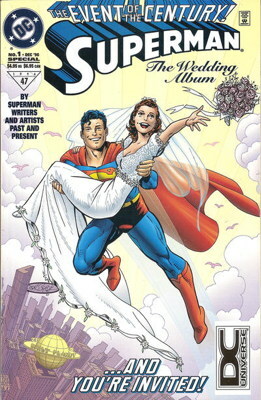 Continuity was the company run by legendary comics artist Neal Adams, with most of the titles seemingly drawn by him or at least drawn in his house style. They had bit of a following…in particular Armor , Samuree and Megalith seemed to be the most popular. Now, here’s where things get a bit fuzzy, as I don’t remember the specifics, but I seem to recall some kind of special “#0” issue that was part of the storyline but wasn’t, like, sold on the stands. Specifically, there were some hoops for readers to jump through in order to “qualify” for getting that issue…honestly, I just can’t recall what it was. I just remember we had too many of that comic. (And no, I’m not talking about the Valeria the She-Bat comics Continuity released as yet another hard-to-get premium comic, the details for which I also can’t recollect.) Hopefully, as I plow through those boxes of old promotional material from the previous place of employment, I’ll be able to glean some clues as to what specifically was going on. As you see just above, my memories of Continuity are pretty limited. I didn’t read any at the time (though I was tempted by Echo of Futurepast , their anthology comic). I’ll see if I can come up with anything more. Pretty well, actually. There were the Big Two (National Periodical and Timely Comics) and then there were the larger small-press companies (the three you mention, plus probably a couple of others), the not-quite-as-big-as-the-bigger-smaller-publishers (companies like maybe Fantagraphics and, yes, Continuity), and then the small-small publishers, who did their one or two titles every few months and that was that. Of course, that’s just talking about periodicals…once you factor in Fantagraphics’ book publishing, that boosts them up a bit. And plus, I’m just going on personal experience…maybe there were stores where, say, Jon Sable Freelance outsold X-Men . Hey, it could happen. I sort of touch on this topic in this post, where I mention that it was kind of a different comics market back then, with people more willing to try books from indie publishers. Sales on what probably look like strange, offbeat books to current eyes likely sold better than you’d expect. Probably at numbers that Marvel and DC would love to have now. Okay, still trying to extract some old Batman ’89/early comics retailing memories from my head to supplement the last couple of posts. A few of you have contributed your own memories, and I shall be commenting upon them soon, oh yes, so prepare yourself for that. As it turned out, I was talking to my old boss Ralph the other day and pestered him a bit about the impact the first Tim Burton Batman movie had on the shop. In line with what I told you the other day, Ralph said that business had pretty much exploded what with all the excitement over the film’s release, and while lots of different things were doing well, Batman comics and merchandise were of course doing the best. One thing he mentioned that I should have remembered was what happened to prices on the 1970s Joker series, which suddenly skyrocketed. Prior to this period of time, you could get them dirt cheap…I’d bought a copy of #1 for one slim dime at a comic book convention, and Ralph had issues scattered throughout his 50-cent bargain bins. Ralph recalled that when the Bat-craze hit, and prices shot up, he dug through the bargain bins to pull out all those Joker comics. Of course, one or two got missed, and Ralph would just have to cringe inwardly as he sold the $20 comic (or whatever it was) for four bits. On a related note, I had asked Ralph what his invoices were like at the time…I had vague memories, but wanted some confirmation. Ralph said that during the boom years, the weekly comics invoice would easily reach several thousand dollars, at a time when DC and Marvel comic book prices were still, what, about $1.50 each, and indies were $2 to $3? Ralph said he was ordering hundreds of copies of several books and mostly selling through on them…and the back issue market was still strong enough that we were selling a lot of back-numbered comics as well. So basically money was just pouring in the door, to the extent that Ralph had bought a new truck about that time and paid for it entirely in cash. That’s the sort of thing that would probably set off alarms today, but back then, in the wild and crazy days of the late ’80s/early ’90s, ’twas no big deal. As I’ve said in the past, when the crash came, it came quick, and we didn’t know it was a crash at the time. We figured it was a brief lull in sales, and that folks would be back, and orders continued to be placed as if sales would be back up shortly…and it eventually became fairly evident that wasn’t happening. For business to go from doing so well to [crickets] was a shock, and the store had nearly died before orders could be adjusted back to realistic levels. One specific example Ralph gave (and gave me permission to relate here) was having a new comics invoice that cost about $12,000, and then making only about $7,000 for that week. As you can imagine, having too many weeks like that could drive any business into the ground…and it did, for many comic shops at the time. We were able to ride it out, once we scaled orders back, and plus we had game products in the store that supplemented our income, and we were still the biggest comic shop in the area, so we still did some comics business. Oh, and pogs helped too. No, really. It was a strange time to live through, and one that I hopefully learned from as I run my own store now (he said, juggling numbers to get those Marvel lenticular covers). Anyway, next time I’ll talk more Batman ’89 and less “I SURVIVED THE ’90s COMICS CRASH AND ALL I GOT WAS THIS FOIL-LOGOED SHADOWHAWK T-SHIRT.” If you have your own Batman ’89 memories, feel free to chip in! But of course in real life that Swamp Thing comic would be a bestseller. I think I follow what you’re saying here, but let me give a couple of different answers to you. One of the first lessons I learned from my old boss Ralph is “order with your head, not your heart.” And before anyone pipes up, that’s not a 100%, completely binary thing, by any means…yes, sometimes you order with your heart, because there are comics and characters and creators you like and want to support and of course you think investing your time and money in them is a good idea. I mean, we’re not machines, we all have our preferences and that informs our decisions. The trick is not to be stupid about it. If you’re supporting a comic you like, which, oh, let’s say it’s Our Swamp Thing at War , and you’re ordering piles and piles of it, thinking “well, if I love it, surely all of my customers will love it, too!” Then, after a few months of not selling any, you’re still thinking “it’s gonna catch on, I just know it” — well, sooner or later your head is going to have to pull rank on your heart and cut those orders down to what you’re really selling versus what you think they should sell. This is probably a “no-duh” kind of realization…I’m pretty sure I didn’t go into this thinking that it was all “la de dah, just get whatever” and throwing down whatever numbers you wanted on the order form. But I think I was surprised by the amount of number-crunching involved in actually ordering comics, with looking back at the sales histories of individual titles, at seasonal changes, at what creator or character’s presence in a particular issue might do its sales, etc. And sometimes this decision-making is crazily exact…I have, well, not agonized exactly, that’s too strong a word, but I’ve definitely waffled over the difference of a single unit on a comic for a longer period of time than I really should have. Like, maybe 20 copies feels like it’s too many, but dropping it down to 19 just doesn’t seem like that would be enough. No, I’m not exaggerating. So maybe that’s the actual response in this first part of this answer: that I wasn’t aware at first of just how much work actually went into placing orders. I’m not sure what I pictured, but it was probably a lot more casual than the advanced calculus I’ve since ended up doing to figure out how many Marvel variant covers I can order. The second part of my answer is more involved with the overall health of the marketplace. I am sure I’ve mentioned once or thrice over the years about the sudden seachange I experienced during the boom ‘n’ crash period of the early 1990s, when the latest Diamond Previews arrived, cover-featuring Dark Horse’s new superhero imprint “Comics’ Greatest World.” My memory is a little fuzzy on the details, but my recollection is that there were either multiple superhero universes launching in that same Previews , or that I realized just how many superhero universes were being thrust upon the stands. I do remember thinking “where are the customers to support all these new ‘universes’ going to come from?” and, perhaps on a more selfish level, “how are we going to have room on our shelves for all these different comics?” Now, as it turned out, the marketplace eventually took care of this problem for us, but that was still a bit of an alarming realization. 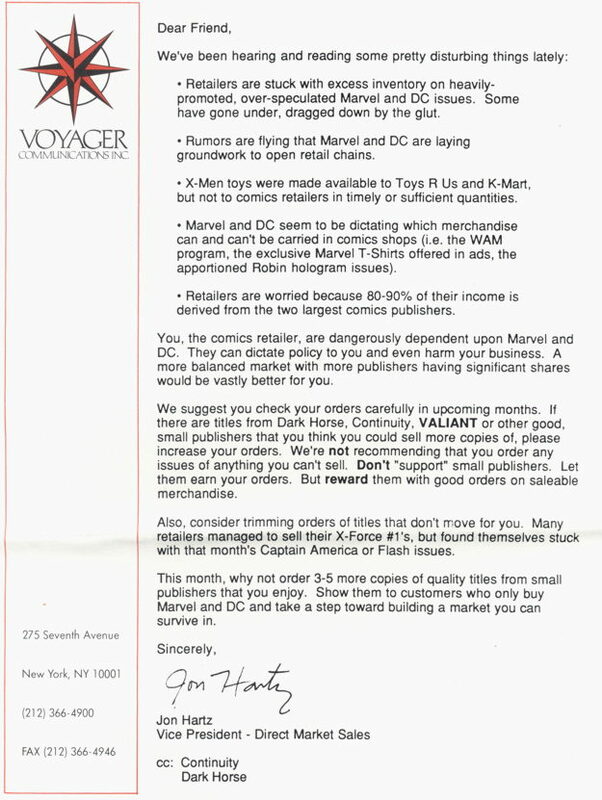 Now keep in mind the big comics boom was still in progress of becoming a crash around this period, so we had been more-or-less accustomed to (or perhaps spoiled by) the idea that there were plenty of folks in the marketplace ready to support nearly anything that was published. There was of course no shortage of clues that the market was sick…the prevalence of investors, the proliferation of gimmicks and enhanced covers…but for some reason, seeing that particular issue of Previews , with the promise of More of the Same Kind of Stuff Coming on Top of the Stuff That’s Already Here, was the literal final straw. The sorta vague feeling that things weren’t healthy, the one you could ignore because hey, look at all this money we’re making, now came into tighter focus. To try to bring it back to your original question, Brandon, is that this was the transition from “order lots because comics will always sell great forever” to “order what’s going to sell now, and be more picky about what you want left over for backstock.” Not the catchiest way of putting it, I suppose, but true just the same. Oh, hey, over at Trouble with Comics, to make up for all of us hatin’ on Jack Kirby in our younger years, we pick out our favorite obscure Kirby works. 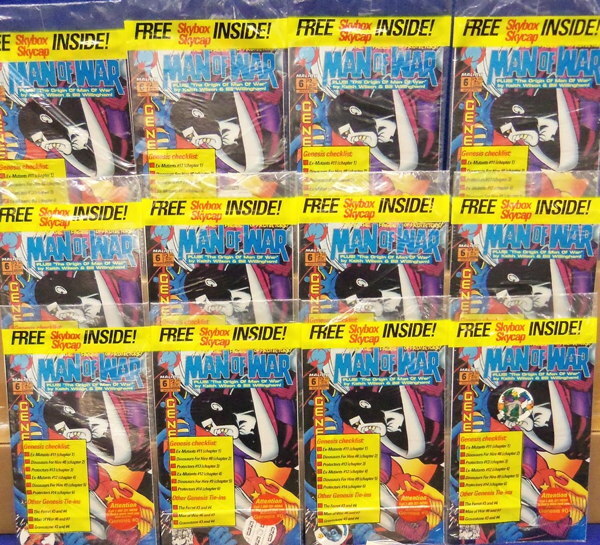 I want to believe…in secondary market values on comics from the 1990s. 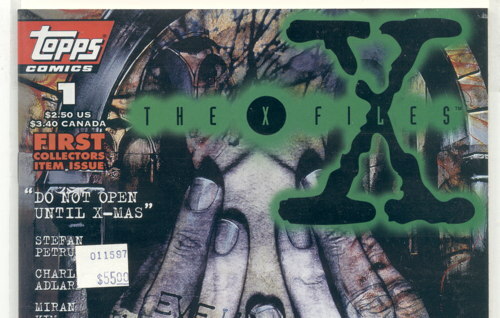 So when Topps Comics released The X-Files #1 in the mid-1990s, about a year or so after the TV show’s debut, the demand for the comic caught us a bit by surprise. 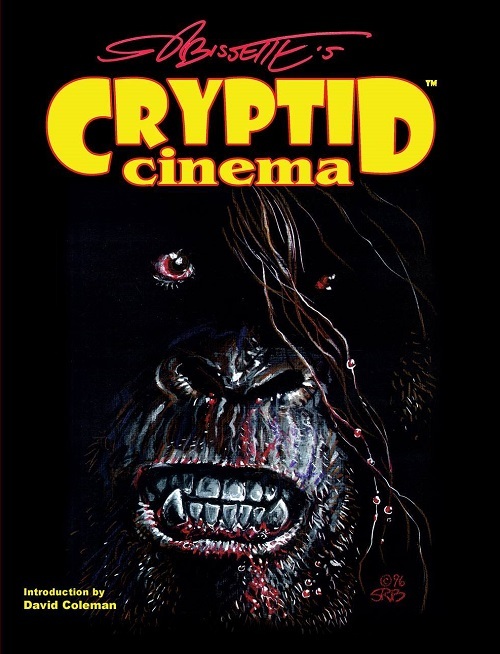 We ordered what we thought was a good number, considering the industry was well into its market crash at this point, but this was one of those comics that caught folks by surprise by managing to bring non-comic readers into shops. We sold out in short order, and proceeded to field requests the rest of the week from people looking for copies of that first issue, while thinking the whole time “if only we knew” which you can never really know for certain, really. The upshot of all this is that X-Files became a “hot” item in a business where “hot” items were a pretty significant factor in almost destroying said business just a year or two earlier. And you can see a good example of just how “hot” it was if you cast your peepers back to the scan above and the price sticker visible therein. That issue was among the many, many comics that came with this collection, and was one of the books that survived the sorting process as I worked through the boxes, throwing some into the bargain boxes and keeping some aside for potential use in the regular stock, or on the eBay. I haven’t dealt much with the old Topps run of X-Files …people poke through its slot in the back issue boxes once in a while, but it’s not like I’ve had a lot of demand of the series lately, even with a new series being released from IDW. At any rate, I’ve not really thought about the prices on this series in some time, and spotting the #1 in this collection, I pulled it aside thinking it was, if no longer at the $55 price it had been marked, surely it was probably still worth something. A quick search of the eBay shows lots of the first three, four or five issues (including the first printing of #1, like the one I have from that collection) usually only sell for about five to ten bucks. The #1 by itself sold for as cheaply as $2, and I found one that sold for nearly eight bucks, which is more the exception than the rule, it seems. (A “slabbed” copy of #1, signed the stars of the TV series, sold for about $400, so I guess there’s that.) There are copies currently listed in the $10 – $15 range, but unless someone’s desperate to get a copy, they’re probably not going anywhere fast. And I didn’t go back to double-check, because I’ve looked at eBay enough today, but my impression was that there were many attempts to sell the serial-numbered second printings as some kind of special big-deal thing, but no one cares too much about those, either. The “too long, didn’t read” version: some formerly-hot comics don’t sell for what they used to anymore, which I’m sure comes as a surprise to everyone. And yet, even with this knowledge, I still don’t want to just dump this comic in the bargain bin. The days of getting $55 for this comic are long gone, but I might be able to get $5, maybe, if I’m lucky. The other day, when I mentioned how I thought a new Legion of Super-Heroes series would be best served by making the focus one character, with the rest of the cast as occasional supporting characters? Jer asked which one, and Casey in the comments suggested “Brainiac 5,” which actually was my suggestion, too, when I previously brought up the topic. Still think that’s a good idea. The team book version of Legion is not one people seem to want anymore, or at least no one’s hit on a version of the Legion that really does anything for anybody. There’s going to be another Legion book sooner or later, and it can’t hurt to try something different…I mean, what, you might end up with another dead Legion book if the idea doesn’t pan out? Or maybe you might have something that has a little staying power? What’s to lose, really? Other than money, creative efforts, market value of a DC property which has been adversely affected by yet another cancellation, so on? Back to that collection: Wayne asks if we have to inventory all the toys that came with this collection. In this case…no, not really. Our perusal of the toys, an informal inventory, revealed a handful of figures sans accessories that we might be able to sell for a couple of bucks each. Haven’t really made the time or space to price these things up and put ’em out for sale…they’re low cost, low priority items, which we got essentially for free, and we haven’t really dealt with them yet because there are always other things occupying our time at the shop. The investment in this collection, aside from employee costs in processing and space taken up by storing the boxes, is minimal. Having looked more closely at the toys, we’ll probably keep a handful of the usable stuff and dump the rest, either in the trash or in an eBay auction titled “BIG BOX OF CRAP – cheap! L@@K H@T” just to get it all out of my hair. Even the box of little accessories probably isn’t worth the trouble or mess, and may go on the eBay too. Someday. When I have the time. Pal Dave is starting a new feature on his site: “I Had That!” Nostalgia ahoy from one of the best comic/pop culture bloggers out there. So let’s start off Year #11 with a post about X-Force and Deadpool. It seems really almost like yesterday I was setting up a table near the front of the store to show off all the editions of the brand-new X-Force #1, drawn by red-hot young artist Rob Liefeld. Each factory-sealed in polybags with one of five different trading cards, stacked up high and waiting for us to open our doors for that new comics day. And did they sell? Oh Lordy, did they ever. 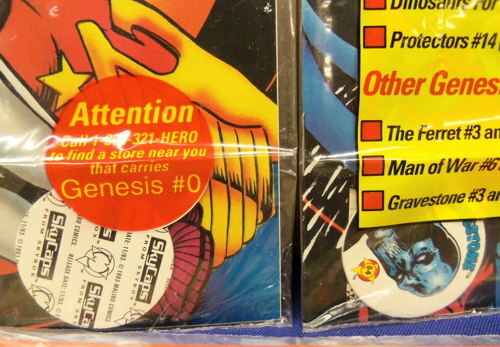 It was 1991, the Good Old Days of Comics Retail, and anything that even just slightly smelled of being Hot and Collectible was in high demand. As I recall, a number of our copies of X-Force #1 shared a particular printing defect, a thin dark line that stretched down the front cover, painfully obvious and not obscured at all by the polybag covering. We pulled these aside for replacement from the distributor, but again, as memory serves, such was the demand for the comic that we were even able to sell copies of these, perhaps under the customers’ assumption that the comic’s presence within that sealed polybag thus ensured it was mint, regardless of the item’s actual condition. We noted the damage, we may even have dropped the price a bit to account for the flaw, but still they sold. And everyone bought them. Yes, everyone. I bought one. I admit it. I was caught up in the hype and the craziness and it’s not like this was the only time I apparently overlooked any kind of deficiency in storytelling in my funnybooks. Anyway, we sold a lot of X-Force #1s. I’m sure a good number of them went into the hands of kids and teens who dived into the comics collecting hobby during its peak faddish phase, who dived right back out again as soon as that fad was over. I didn’t sell any full cases of them to single buyers, but I’m sure they did somewhere. They sold and they sold and they sold, and sales on the book continued to be strong, as both current issues on the rack and from the back issue bins, and so it went until the comics market crashed a couple of years later, and well, you can read more about that if you’d like. X-Force continued with mostly reasonable sales, relatively speaking given the state of the marketplace, ’til it finally wrapped up in the early 2000s after a dramatic revamping of the book (and restarting as X-Statix ). It’s had the occasional relaunch since then, selling on a much, much smaller scale (just like everything else in the comics market nowadays, compared the land of good ‘n’ plenty back in the early ’90s). Unsurprisingly, back issue demand has dropped, and most people who were interested in those early issues likely bought them as they were coming out. Plus, tastes have changed…what was “hot” and seemingly cutting edge in 1991 is now dated, its shortcomings more obvious now that we have the perspective of distance. I was looking at eBay the other day, specifically looking at entries for sold items featuring Deadpool. Deadpool, who had debuted in New Mutants #98, just prior to that title being retooled into X-Force , who has been experiencing something of a renaissance over the last couple of years in a handful of popular series. Of late, I’ve noticed that sales haven’t been quite as strong for us on the various Deadpool projects that have reached the stands. The trade paperback collections still move quite well, but the bloom appears off the rose for the actual periodicals. A temporary dip? Burnout from overexposure? Anticipation dying down from a supposed movie that never materialized? Who knows, really, but it’s a trend I’ll need to keep an eye on. However, back to the eBay. I saw some eBay sellers trying to move those early issues of X-Force with liberal application of “DEADPOOL! H@T! L@@K!” shouting from the auction titles, a desperate marketing move to rid themselves of stagnant product, not too dissimilar from using the “Copper Age” label to get folks to oh God please buy some of these copies of Arak Son of Thunder . 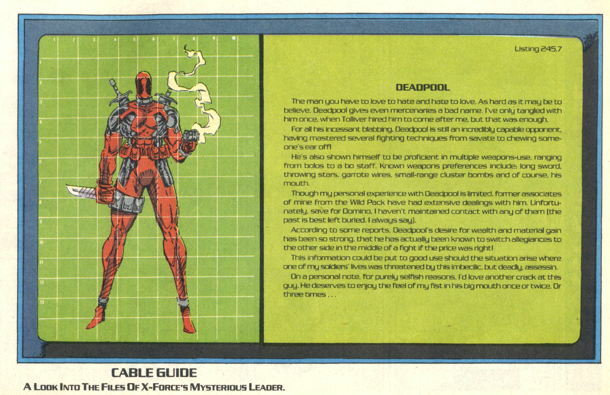 In particular, I saw one or two instances of X-Force #1 being sold with a “DEADPOOL!” notice in the title, and I, a proud owner of X-Force #1 as I have explained previously, could not recall Mr. Pool’s presence in said comic, beyond being on one of the prepacked trading cards. That’s not to say X-Force is now entirely unsellable. I’ve sold some of those early issues. There are still fans of that type of work. But it’s a weird sort of nostalgia that I get when I deal with these comics now, a reminder of a time when it seemed like the industry, the publishing industry itself, not the media adaptations, was an unstoppable juggernaut, an unending tidal wave of new comics and new relaunches and new #1s and Big Name Artists and new superhero universes and that we couldn’t see the bare ocean floor that wave was going to leave in its wake. There’s gold in them thar funnybooks. While the Valiant Comics collectability heyday of the 1990s is now a distant memory, along with most collectability of ’90s comics for that matter, there still remains some market desirability for certain Valiant releases: the early “pre- Unity ” issues ( Unity being Valiant’s line-wide crossover event series), the last issues of some of their series (with their smaller print runs, you see), the early video game comics ( Captain N , Super Mario Bros. ), some of the #0s and mail-away/promo books, and the gold logo/gold foil variants of some of their regular issues. Now, it’s been a long time since I’ve thought about how these gold variants were distributed to retailers…I don’t think it was like how variants are doled out by the big publishers today, where you get one special variant for every 10, 25, 100, whatever regular covers you ordered. I suspect, at least in some cases, that the gold editions were just mailed out to retailers for us to do with as we wish. In any case, in recent years these gold variants have been selling for a pretty penny on the eBay, and the few we’ve acquired in collections over the last few years turned over some sizable profit via the online auctions. It’s probably a bit hard to tell, but that’s a gold corner box and a gold foil logo on that Turok #1. Now, as I’ve written before, Turok #1 was, if not a cause, at least one of the primary symptoms of the ’90s market crash. Hot collectable company produces what should be a hot collectable #1, every retailer on the planet orders a royal assload of said #1, #1 comes out, nobody cares. So all those retailers end up with a huge ol’ turkey that they try to blow out in their bargain bins in the subsequent decade or two since. Now, it’s possible that someday we’ll experience the Shazam! effect, where the greatly-anticipated release of Shazam! #1 in 1973 resulted in a huge abundance of that comic in the marketplace, with many copies going straight to quarter boxes. There they sat, thumbed over and exposed to the elements, until suddenly…oh, hey, it’s awfully hard to find mint copies of that comic nowadays, and now price guides have mint copies of Shazam #1 at, I don’t know, $40, $60 maybe? I don’t have my guide in front of me, but you get the idea. But if that happens to Turok #1, ever, it may not be until after I’m long dead, so, you know, in ten years or so. But basically what I’m saying is that Turok #1 is not seen as a desirable collectable by pretty much anyone, and I suspect even having a gold logo may not make that much of a difference. This site, which has been monitoring online Valiant sales, notes the market value at about $12, but ain’t too bad, I guess, but not really a patch on some of the money we’ve made on other gold Valiant variants. But still, that gold edition Turok is nice-looking. 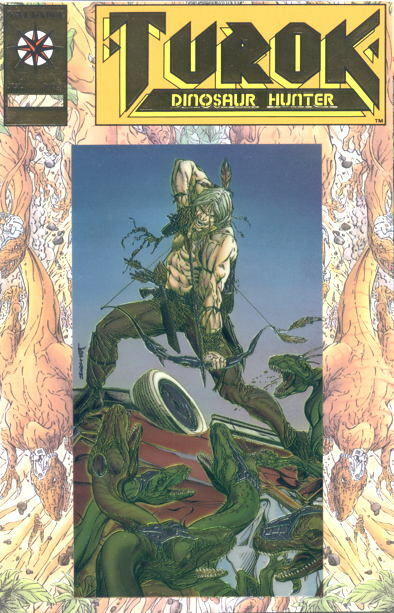 And I do like Turok comics. Maybe I’ll just keep it. …but a second printing, which DC indicated by changing the frame of the cover from the first printing’s dark blue to this printing’s gold adding a gold border (thanks, Old Bull Lee!). 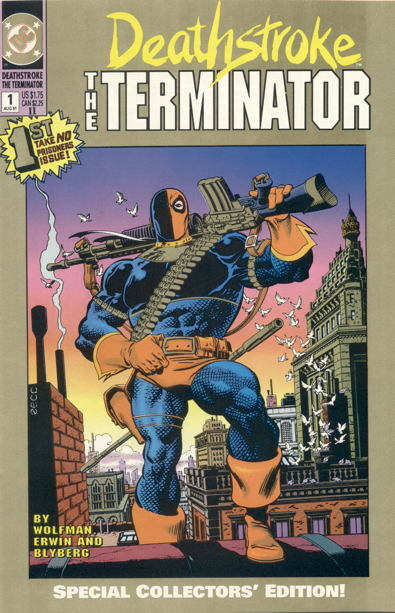 Mostly I was just going to bring up the fact that Deathstroke, at one point in history, was popular enough in his own title (due in part to a brief renaissance of the Teen Titans franchise at the time) to warrant a second printing for his first issue, but then, oh yeah, it happened twice.